Mikaela, I would like you to have access to using the Piano Maestro. If you could have access to a little keyboard to use it, I think that might be a good idea that I’ll talk to you parents about. But, even now, you could use it with your real acoustic piano. Try to make much progress on your “Journey” as much as you can. I hope with me assigning a little less in Piano Town, that you find it easier to work on it along with your other songs. 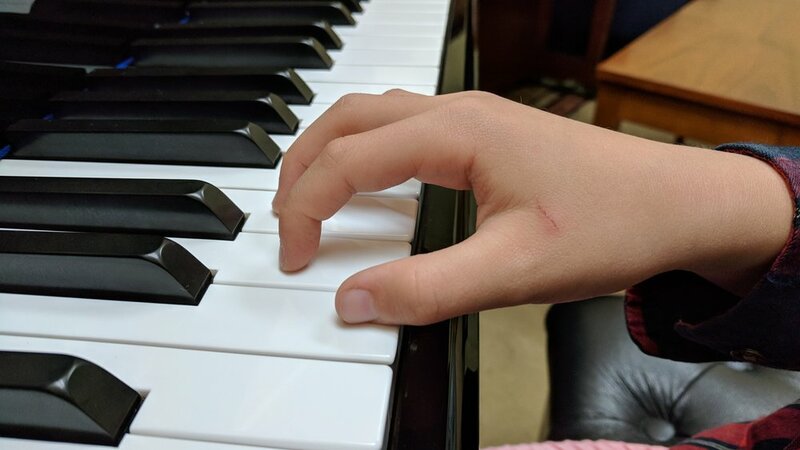 Work on having good hand position/posture as shown in the pictures below (these are pictures of another young student of mine since we are always working on this).